I've been trying out a lot of new skin care lately and my skin has been coping pretty well with the changes. Dealing with acne prone skin does make my skin more sensitive, however as odd as it may sound, it has been under control for the last little while despite regularly switching up which products I use. You can see in my latest Get Ready With Me that I am currently not breaking out as much, and my scarring has faded quite a bit (but more on what I've been doing to help speed up the healing process in a future post coming very soon)! 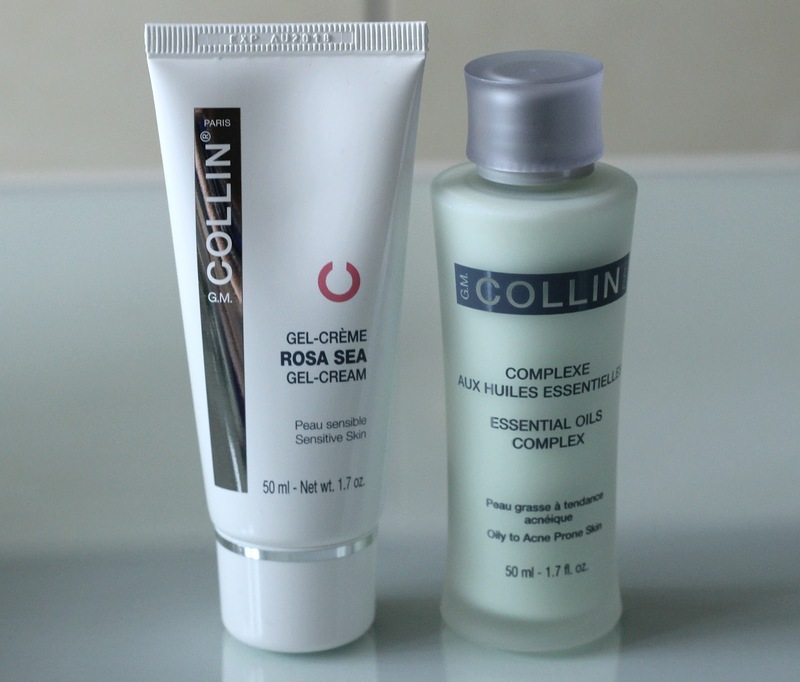 Through the Canadian Beauty Bloggers Network, I had the opportunity to test G.M. 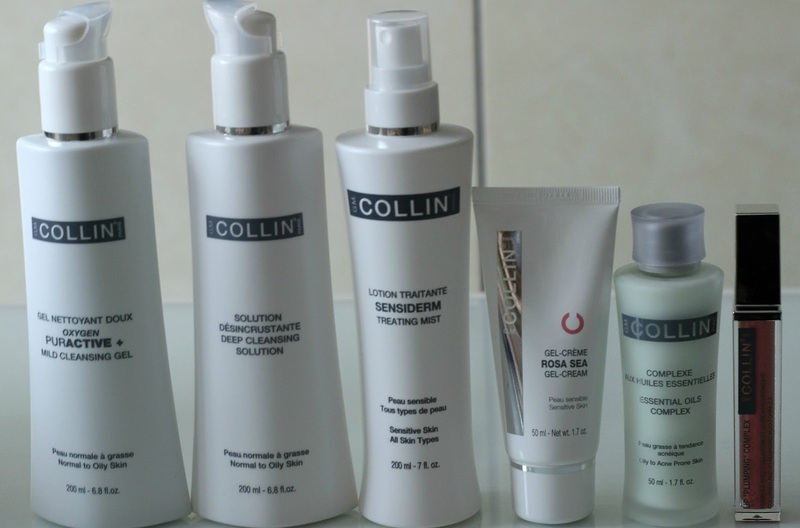 Collin Skin Care, a Montreal-based company specializing in natural, plant-based products. I was hooked up with six products suitable for my skin type, including a pretty neat lip product which I'm excited to share! I gave you a sneak peak of these in my Room Tour, and today I'm breaking down how this line has been working for me. To kickstart my daily regimen, I use the Oxygen Puractive + Mild Cleansing Gel* to help remove any impurities and stubborn face makeup. This clear gel is formulated without perfume or alcohol, making it suitable for more sensitive skin, anywhere between normal and oily. It has a natural herbal scent and feels very refreshing on the skin once emulsified. I let it sit for about a minute before rinsing off and moving onto the next step. In the evening, about twice a week, I will follow up with the Deep Cleansing Solution* which I would describe as a mixture between a liquid cleanser and toner since it helps remove excess sebum and restore the skin's pH level. This one has a more medicinal scent, slightly stronger than one of my favourite natural toners by Beauty Without Cruelty. The pump dispenser makes it convenient to soak a cotton round before gently wiping the solution across my face, spreading it using circular motion. Despite feeling like a toner once applied, it is important to rinse it off once it has foamed. I seem to always fall in love with every single facial mist I try and the Sensiderm Treating Mist* is no exception. As you may have guessed, this one is suitable for sensitive skin, hydrating, toning and generally calming inflamed or red skin. This is my favourite part of my routine - something about it makes me feel very relaxed and my skin is left looking and feeling refreshed. The scent might I add is very natural too. To combat active spots or any that are about to surface, I reach for the Essential Oils Complex*. This no-rinse concoction smells very strongly of alcohol despite being balanced with various essential oils. Used with a cotton pad, I have to hold my breath when applying it because the scent is so potent. It leaves a tingling sensation but thankfully my skin does not get irritated so I take it as a sign that it is meant to do that. I will say though that it effectively minimizes and prevents future breakouts, so I can look past the rest. A skin care routine without a moisturizer is not complete, hence I will use the Rosa Sea Gel-Cream* to hydrate my skin both morning and night. This hybrid face lotion has a marine scent to it. Suitable for sensitive skin, it is meant to soothe any discomfort from itching, burning or stinging all while restoring the skin's natural protective moisture barrier. It is very lightweight and my skin drinks it right up. To give the lips some lovin' and hydration all while making them look fuller, I've been very much enjoying the Lip "Plumping" Complex Rose*. Although it looks like a shimmery pink lip gloss, it actually applies very sheer and the specks of glitter are barely visible to the eye. 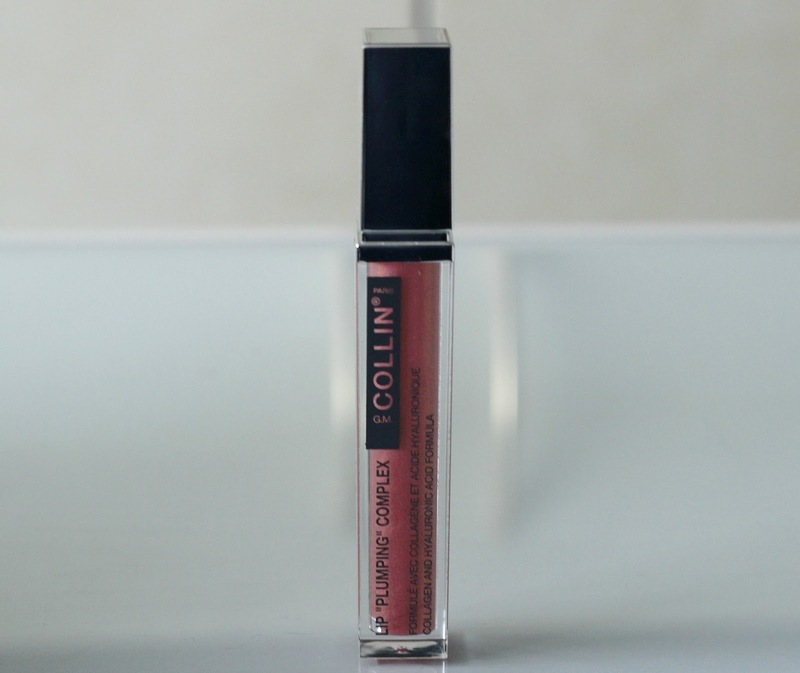 Formulated with collagen and hyaluronic acid, this lip plumper starts tingling after a couple of minutes and my lips look significantly bigger for about an hour following application. This product can be reapplied multiple times a day and also comes in a clear formula for those who prefer sticking to a natural finish. My skin has been getting along really well with the G.M. Collin line. Despite some of the natural scents being a bit strong for my liking, the products are very calming and I've been having fewer breakouts since starting use. G.M. 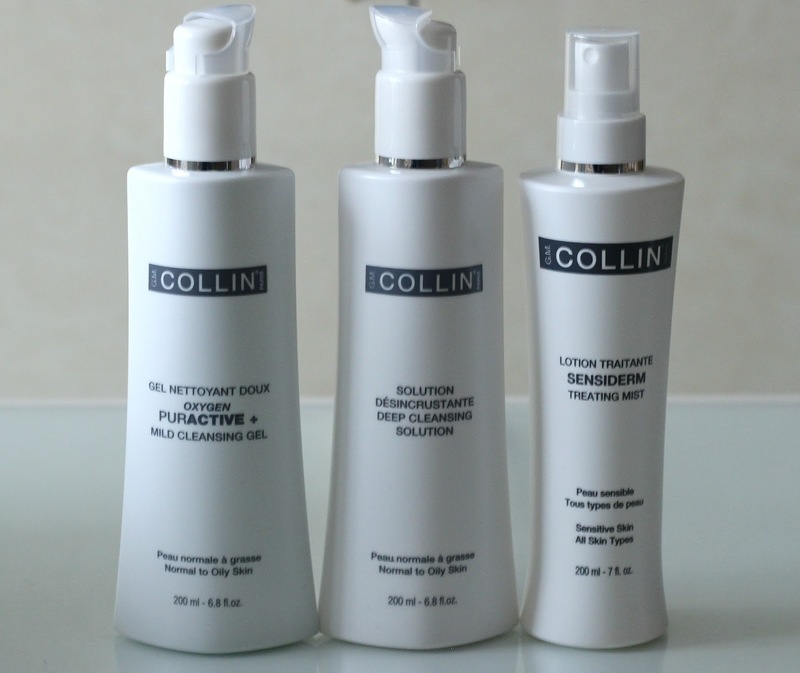 Collin Skin Care is sold online on Amazon and in spas worldwide. To find one near you, see here. Have you introduced new products into your skin care routine lately? Great review!thank you for the informations. I ve nver tested the brand but looks like nice products. I haven't had the money to add anything to my current routine! I'm running low though, so I know I'll need to go out and buy some products soon! Skin needs extra care. For that we need to use good products for our skin. Because after 30's our skin faces aging related problems. And that doesn't look good. So it is important to avoid the aging problems.